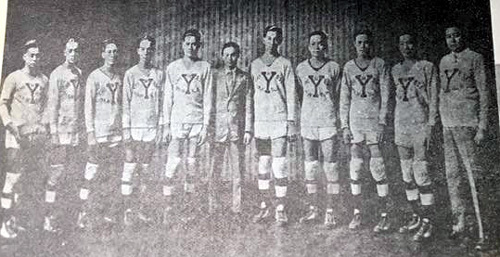 Inspired by the CEA blog essay on Chinese basketball players, Marie started tracking down the games her grandfather, Lim Chuan Teck 林川澤, played on tour in China, Canada and the United States in the late 1920s. He played guard and was also known as Charles Lim. 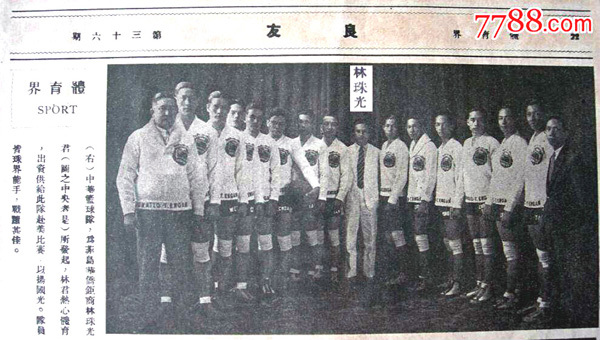 The Chinese basketball team played in Hubei, China in 1926 and won all the matches. 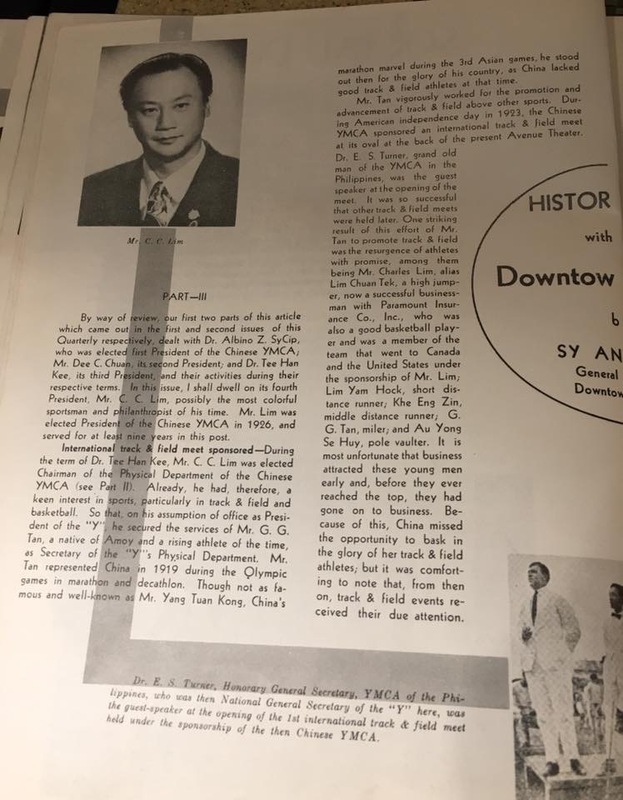 Lim did not join them in Japan in 1927 but he was there for their Canadian tour which started in Victoria, British Columbia, Canada on 23 January 1929. In the next three weeks they played Victoria, Montreal, New York, Seattle, University of Southern California, and Indianapolis, Indiana; ending their tour in Honolulu, Hawaii on 14 February 1929. Some of the players continued on for a total of three months playing many of the leading college basketball teams in the U.S. The squad was led by Captain Choa Itsan; Enyang Siok Huy was their tallest member. He and Lee Dah Chen were forwards. Lim Chuan Teck and Co Teck Eng were guards. An article in the Bismark Tribune on 6 February 1929, said the guards were as hard to stop as their names were to pronounce. 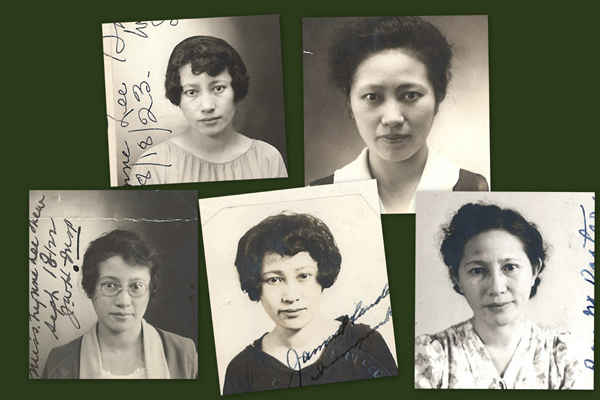 “Lynne Lee Shew photos, Form 430,” 1922 -1939, Chinese Exclusion Act case files, RG 85, National Archives-Seattle, Lynne Lee Shew case file, Seattle Box 796, 7030/12446. 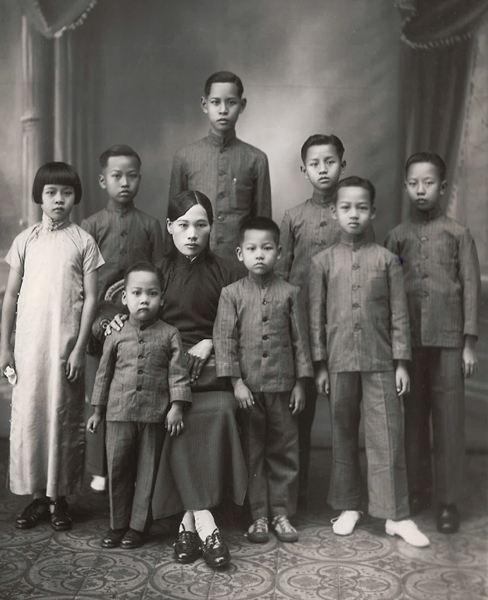 Lynne Lee Shew 蕭悔塵 was born in San Jose, California on 27 September 1890 to Chu [Chew] Wing Shew and Shee Nee. Her Chinese name was Shew Fuey Chun. She attended public grammar schools at San Jose and Pajaro, California; high school at Watsonvillage, and received her B. A. and M.A. degrees at University of California at Berkeley, majoring in education and philosophy. Her brother, George Shew, a medical student at the University of California at Berkeley, was killed by an automobile in 1917 when he stepped from a street car. He planned to give medical treatment to the poor in China. Miss Shew gave up her advanced studies at Berkeley to obtain funds for Heung Shan Benevolent Hospital, a hospital to carry out his goals. Miss Shew made several trips from the U. S.—three to Canada and one to Cuba. She traveled throughout the United States and Canada to raise funds to build the Heung Shan Benevolent Hospital at Shekki, Heung Shan District, Kwang Tung Province, China. Shew was well known to the immigration officials and she was readily re-admitted on each of her trips. She obtained U.S. passport No. 4031C and Certificate of identity No. 49662 in 1924. She had files in Seattle, Cleveland, San Francisco, Philadelphia and Jacksonville. She showed the immigration inspector a certified copy of her birth certificate but requested that it be returned to her so no copy is in her file. In February 1925 Miss Shew made her first trip to China with a layover in Honolulu, Hawaii and did not return to the U.S. until June 1939. While in China she helped build and manage the Heung Shan Benevolent Hospital. “Letterhead for Heung Shan Benevolent Hospital Fund,” 1923 & 1924, Chinese Exclusion Act case files, RG 85, National Archives-Seattle, Lynne Lee Shew case file, Seattle Box 796, 7030/12446.